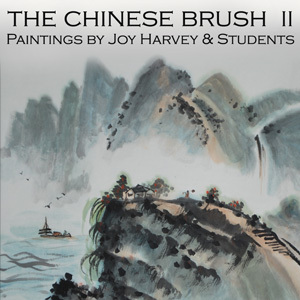 Returning to Arts Visalia for the holidays will be the beautiful works of Chinese brush painting by Joy Harvey and her students. Joy has taught classes in Chinese brush painting and calligraphy at Arts Visalia since we opened our doors and is a well recognized artist with a loyal following of students, many of whom have studied with her for years in addition to accompanying her on annual trips to China where they take intensive workshops from masters of this traditional Chinese artform. This exhibition is held in tandem with our Holiday Show & Sale, and the two exhibits make for a wonderful selection of art and gifts priced just right for the holidays. Whether you may be looking for a gift for a friend or perhaps treating yourself, this is the place for that unique gift to complete your list. Announcing our Holiday Raffle: this is the 4th year we have held a raffle in tandem with our December opening reception and this year’s drawing is full of exciting gifts. With the purchase of a $25.00 raffle ticket, you will become eligible to win one of over thirty wonderful prizes including a $500 cash prize. Additional tickets may be purchased from one of our board members or directly from the gallery. You need not be in attendance to win, and all of the proceeds support our programs at Arts Visalia.